Comfort Keepers of Philadelphia, an award-winning home care agency, is on its second generation of ownership after 18 years in operation. PHILADELPHIA, PENNSYLVANIA, UNITED STATES, May 31, 2018 /EINPresswire.com/ — Comfort Keepers, an in-home care service provider, was originally founded in 1998 when Kris Clum, a registered nurse who was working in home health care, discovered first-hand the need for in-home caregivers. She realized that some people require additional help to just their medical needs such as bathing, running errands, meal preparation, and completing simple household tasks. Clum knew she could provide a better solution and created Comfort Keepers. Comfort Keepers provides non-medical, in-home care services to thousands of individuals across more than 700 franchised offices worldwide. The Comfort Keepers franchise network comprises many caring individuals who are committed to providing care solutions that enable seniors and disabled adults to live happily, safely, and independently at home. Comfort Keepers of Philadelphia is no different. In 2000, Richard Reisman founded Comfort Keepers Philadelphia after he himself had trouble finding quality senior care for his mother with Alzheimer's. He realized something needed to change and took action. 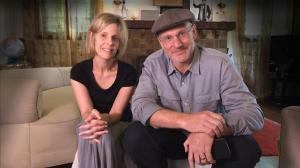 Shortly after Comfort Keepers Philadelphia was launched, Reisman fell terminally ill with lung cancer. Reisman's two children, Michele Berman and Marc Reisman, hired one of the company's caregivers to take care of their ailing parent. “He got [his care] from knowing what people are looking for, what they expect in terms of quality of care and comfort; he realized how important that is for people,” Berman said. Berman and her brother realized the impact that the care of Comfort Keepers had provided their father and wanted to continue to help. They took over the business following their father's illness and have not looked back. Although Comfort Keepers Philadelphia has achieved loads of success as a second-generation business, Michele and Marc are beating the odds. "70% of family-owned businesses are either sold or fail before the second generation gets a chance to take over. After that, only 10% remain active, privately-held companies for a third generation," Berman said. The Philadelphia location has received praise from the organization's corporate offices throughout the years including the President's Award for top performing locations and the Quest for Excellence Award–very big achievements for an organization with over 700 franchised locations. Comfort Keepers provides a wide range of in-home care solutions including, but not limited to, Alzheimer's and dementia care, respite care, transportation for seniors, interactive caregiving, end of life care, and transitioning home care. Today, Berman is proud to carry on the legacy of her father and is even more proud of the difference that Comfort Keepers is making in the lives of those who need it most. Noe Del Mar and his business associates are dedicated to helping people come to the US. MIAMI, FLORIDA, UNITED STATES, May 31, 2018 /EINPresswire.com/ — Americans tend to take citizenship for granted. While this isn’t our fault, it’s important to recognize the amount of work that goes into becoming an American citizen. For immigrants who dream of becoming US citizens, the path they must take is arduous. Noe Del Mar himself, as well as his business, Delmar & Associates, understands this and is dedicated to helping immigrants become citizens. Well-trained, honest, and earnest, this isn’t just a job to Del Mar and his firm. They are on a mission to help immigrants become citizens and Permanent Residents of the United States. With almost two decades of experience, Noe Del Mar has experienced a plethora of unique situations. Not only have the personal situations of each immigrant factored into his experience, immigration laws are forever shifting sands. Del Mar has dealt with the amends and changes of the law first hand, for the last (18) eighteen years. 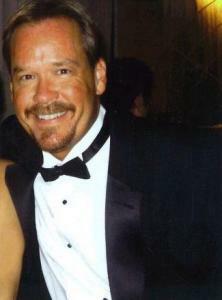 In 2002, Del Mar took the next step and opened his own firm; Del Mar & Associates. After practicing the law for several years, Noe Del Mar decided to expand his reach. Opening his own practice allowed him to multiply his resources and allocate more help over a wider span of people. Additionally, Del Mar & Associates is incorporated in the Division of Corporations of the Department of Florida. Del Mar & Associates is proud, to be honest, and forthright with their clients. After all, the firm understands that they are advising and fighting for the betterment of their clients’ future. The weight of future generations resides on the firm’s shoulders. So, in appreciation and reverence for that responsibility, their honesty and integrity are paramount. When a person is represented by Del Mar & Associates, they can rest assured that their case is in extremely capable hands. Throughout the immigration process, there are many decisions that will affect the rest of your life. Therefore, it’s amply important to have a firm that is willing to be straight and honest with you. Del Mar & Associates is built on a strong and unwavering foundation of earnest professionals. Therefore, Del Mar & Associates wants to be sure each client is understanding the process completely. That is why the staff at this firm is bilingual. That way, people can feel comfortable communicating and understanding this intricate process. Noe Del Mar and those associated with his business are earnestly here to help. So, they make sure they are up to date and skilled in the preparation of forms of immigration. Additionally, they strive to keep the cost of their in-depth portfolio of services as low as possible. To close, Del Mar & Associates is the firm for you, if you’re looking into becoming a United States Permanent Resident. Equipped to handle a multitude of situations with speed, finesse, and professionalism, Del Mar & Associates is able to work for you. Contact Del Mar & Associates, today, to start your journey. After all, you aren’t just doing this to build a better life for yourself; you’re building a better future for generations to come. Judge Stucki serves as a representative of the National Council of Juvenile and Family Court Judges (NCJFCJ). and the only U.S. seat in the IAYFJM council. RENO, NEVADA, UNITED STATES, May 31, 2018 /EINPresswire.com/ — (Reno, Nev.) – The Honorable David E. Stucki was elected deputy-president of the International Association of Youth and Family Judges and Magistrates (IAYFJM) during the 2018 World Congress on Justice for Children this week in Paris. The World Congress on Justice for Children was this week at the UNESCO House in Paris. Bringing together judges and other professionals specializing in justice systems for children and their families from all over the world, World Congress participants discussed the latest developments in the field and to enhance coordination to address crucial issues and challenges. How an inferior vena cava filter works to stop blood clots from causing an injury in patients. Ivc filter lawsuits are being filed nationwide. 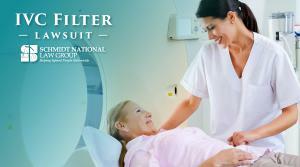 As high as 80% of patients are discovering an injury caused by the IVC filter after a CT Scan. SAN DIEGO, CA, UNITED STATES, May 31, 2018 /EINPresswire.com/ — Just two months after a jury handed down a multi-million-dollar verdict against the company, medical device manufacturer C.R. Bard is facing its second bellwether trial in the multidistrict litigation involving its inferior vena cava filters. Bard faces roughly 3,600 lawsuits over its IVC filters, which plaintiffs say caused them serious injury and, in some cases, death. The lawsuits were consolidated into an MDL in the District of Arizona in 2015. So far, one case has gone to trial, which returned a $3.6 million verdict in favor of the plaintiff in late March. The second case is set for trial beginning May 15. The plaintiffs in these lawsuits claim Bard’s IVC filters caused them serious injury. They allege the cage-like devices used to trap blood clots broke and fractured, migrated from their original locations, moved into the heart or lungs, or even punctured the vena cava, the body’s largest vein. Schmidt National Law Group works with clients all over the United States—about 80 percent of the clients who thought their IVC filter was still in place, found they could have life-threatening injuries after visiting the doctor for a CT scan. IVC filters have been implanted in hundreds of thousands of people in the United States over the last several decades. Bard is one of three major manufacturers; the other two, Cordis Corps. and Cook Medical are also facing thousands of lawsuits in state and federal courts across the country. Medical devices like the IVC filter are often approved by the Food and Drug Administration without the need for rigorous clinical trials, allowing potentially dangerous products through the regulatory cracks and into the hands and bodies of unsuspecting patients. There have been a number of IVC filter recalls over the years, which take potentially deadly devices off the market, but what about the patients who already have a faulty filter in their body? Attorney Martin Schmidt, of Schmidt National Law Group, says filing an IVC filter lawsuit is the only way to help patients seek justice and hold medical device manufacturers like C.R. Bard, Cordis, and Cook accountable. 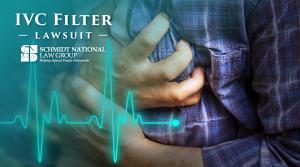 Schmidt National Law Group is experienced in dealing with bad medical devices and is filing cases against the manufacturers of faulty IVC filters. Call Schmidt National Law Group toll free at 800-631-5656 or visit NationalInjuryAdvocates.com. MUSCAT, OMAN, May 31, 2018 /EINPresswire.com/ — Al Jisr Foundation continues its efforts through its activities during the holy month of Ramadan. This year, the foundation conducted both local and international projects to help the Muslim population. The local projects consisted of providing daily Ramadan iftar in several locations such as Al Ansab, Al Anbiya Mosque, and Al Ma’abaila, Al Ghaffar Mosque. On a daily basis, over 1000 people benefit from this iftar. In addition, the foundation has distributed over 150 Ramadan kits to eligible families in the Muscat region. The kit includes everyday essentials that could be used during the holy month of Ramadan. Towards the end of the month, the foundation plans to visit some hospitals in Muscat, Khoula Hospital and Nahdha Hospital, to distribute coupons to patients and Eid vouchers to over 100 patients. 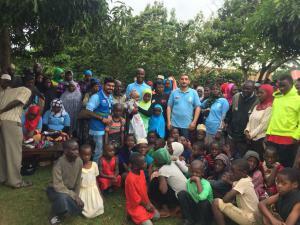 The foundation conducted a similar project in the Republic of Uganda in coordination with Oman Charitable Organization to provide the Muslim community with Ramadan kits that would aid in their daily iftar. More than 1200 families were helped in the following locations: Kira, Kyaliwajala, Kimwanyi, Butto, and Kasokosoko. The kit included 20kg of rice, 15kg of beans, 10kg of sugar, 10kg of flour, and 5 liters of cooking oil. This project was an opportunity to explore future opportunities in the field of charity and to highlight historical bonds between Oman and East African countries. Al Jisr is a private Zakat foundation focused on creating strategic impact through (emergency) healthcare and education initiatives. As Oman’s first non-profit organization to sign the United Nations Global Compact, it is particularly focused on steering Oman towards the achievement of the universally adopted Sustainable Development Goals. Dr. Stephen Shore shares his personal experiences and notes that employers are actively seeking autistic individuals. Workshop attendees enjoying Dr. Shore’s humor and informative job tips. NEW YORK, NEW YORK, UNITED STATES, May 30, 2018 /EINPresswire.com/ — For an adult with autism spectrum disorder (ASD), finding employment can be extremely difficult, especially without the proper advocacy, training, and direction. Unfortunately, the autism unemployment rate has been reported as high as 85%. To help increase awareness and support, Shema Kolainu – Hear Our Voices hosted a successful workshop on Employment Strategy and Job Success for Individuals with ASD. 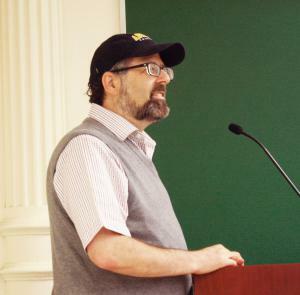 The speaker, Dr. Stephen Shore, a member of Icare4Autism advisory committee and an assistant professor at Adelphi University, presented his personal experience with tips to finding secure and successful employment. The workshop was held on May 29, 2018 at Touro College in Manhattan and was attended by parents, therapists, and individuals with ASD. One of the main insights from Dr. Shore’s presentation was the importance of finding employment based on the individual’s strength. This concept was emphasized throughout the presentation and he further explained that there are neurological and physiological reasons why individuals are better at particular subjects than others. Dr. Shore stressed that individuals with ASD should focus on identifying ways to develop their interests and enthusiasms, utilizing positive skills instead of remediating weaknesses. For example, if someone struggles with multitasking but is really good at something else, they should not put all of their energy into working on improving multitasking. Identifying interests and non-interests at an early age is an important skill for development. This interest could potentially foreshadow what a child could do well in the future. Dr. Shore, who has ASD, indicated that as a teenager he loved repairing bicycles. He decided to approach the shop manager at the local bicycle shop and discussed his interest and passion in repairing bikes; ultimately he received a job offer to work at that store. Throughout college, he distributed flyers on campus soliciting business to fix bicycles. Although this wasn’t his career path, it gave him the ability to earn money and improve his skills based on his interest. Dr. Shore, a charismatic and magnetic individual, who had open discussion throughout his presentation as he navigated through his key points. He discussed many tips and interview rules such as the interviewer always needs to sit first. He also expressed that, “relationships are everything when finding employment. Getting a person in power of hiring to like you is so important.” At the end of the workshop, Dr. Shore provided links to organizations that help individuals with ASD find employment and answered any remaining questions from the audience. Download a free online resource for employment that Dr. Shore and his colleague Robert Naseef developed called Neurodiversity in the Workplace Curriculum. Shema Kolainu – Hear our Voices (SKHOV), a School and Center for Children with Autism, is a leader in the field of special education. SKHOV workshop series is a great opportunity to gain knowledge from some of the best resources in the field of autism. This workshop was made possible by the New York City Council Autism Initiative who provides the necessary funds for this program. Shema Kolainu’s next workshop will be held on Tuesday, June 26th with Dena Ezagui, MS, CCC-SLP. She will be presenting an Introduction to Pediatric Oral Motor and Feeding Therapy. To register and view previous workshops, please visit us at shemakolainu.org. 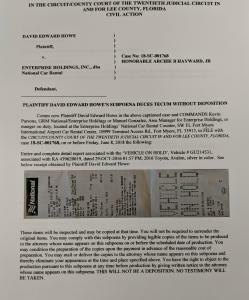 FORT MYERS, FLORIDA, UNITED STATES OF AMERICA, May 30, 2018 /EINPresswire.com/ — SubscriberWise, the nation’s largest issuing consumer reporting agency for the communications industry and the leading protector of children victimized by identity fraud, announced today the 3rd subpoena duces tecum issued to fraud perpetrator Enterprise Holdings’ National Car Rental. The subpoena COMMANDS the wrongdoer to provide detailed information related to pre-existing vehicle damage that is indicated on a ‘Vehicle on Hold’ receipt obtained at the crime scene by fraud victim and plaintiff David E. Howe. 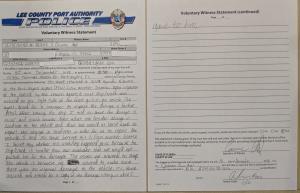 “Last week I filed a motion (https://www.docdroid.net/pSCBjLP/motion-to-transfer.pdf) asking the Twentieth Judicial Circuit in and for Lee County Florida to transfer the civil theft and intentional negligence case to the regular docket with a jury demand,” confirmed David Howe, National Car rental crime victim and America’s identity guardian for babies for girls and for boys. “I’m cautiously optimistic that the court will rule in favor of the motion and allow me the opportunity to present the overwhelming crime evidence to a jury of my peers. “Today I’ve obtained an additional subpoena in an effort to further expose the cover-up, predatory negligence, crime and intentional fraud perpetrated with impunity by National Car Rental at the Southwest Florida Fort Myers International Airport,” Howe concluded. John Loyd Dean is a business owner that is committed to helping his community and home-state of Texas any way he can. HENDERSON COUNTY, TX, UNITED STATES, May 29, 2018 /EINPresswire.com/ — Known for helping the causes and charities who need it most John Loyd Dean tackles charity from a personal and professional standpoint. Dean's main focus is charities that are based around helping children. Although, he spreads his altruism across many different avenues. One of the most prominent of these charities included a 10K dollar donation to the Children’s Advocacy Center. Children’s Advocacy Center has a centralized location in Cleburne, Texas, but The Center services all of Johnson County. Coming to fruition in February 1998, The Center focuses on serving child victims. The charity focuses on abused children. The charity also helps children who witness a homicide or violent crime, as well as children rescued from drug environments. The Center’s warm and welcoming atmosphere introduce children to a holistic environment. Children are greeted at the door by specialized therapy dogs and have a range of resources available to them. The Center works closely with Johnson County law enforcement to provide a safe and positive environment for children. Therefore, The Center offers an on-hand staff that includes two therapists, a direct service coordinator, and a victim’s services coordinator. “This organization is changing children’s lives by ensuring the people responsible for these terrible acts are brought to justice,” John Loyd Dean said of the Advocacy Center. The Center works with children, as well as their caregivers, to ensure the case is successful. Plus, families working with the center have immediate access to much-needed assistance, such as counseling, emergency shelter. Since the Children’s Advocacy Center has put its approach into action, the prosecution rate of cases involving children has increased by seventy-percent. It is due to the spirit of working together that made John Loyd Dean donate to this charity. Dean truly connected with the goals this advocacy center is accomplishing, since this charity is in his native state, Texas. However, to continue providing help and resources, to child victims and their families, Children’s Advocacy Center needs help. Johnson County law enforcement does a wonderful job of providing support. Monetary donations are always needed. While resources are vital, being able to keep the lights on is just as important. That is why John Loyd Dean decided to award his 10K dollar donation to this worthy charity. The charities mission align with Dean’s on a personal level. However, the approach is working and there's documented proof. That is an asset that is rare with charities of this nature. In summation, John Loyd Dean is proud to be able to help the children put their terrible past behind them. With his donation, Dean hopes to help children find justice and the help they need to move beyond their situation. After all, children are proof that anything is possible. John Loyd Dean hopes that with his donation, the children will know how special they truly are. This tech startup will vastly improve the immigration experience, connecting individuals and companies to reliable, effective and cost-efficient law firms. MORAGA, CALIFORNIA, UNITED STATES, May 29, 2018 /EINPresswire.com/ — PassRight confirmed today that the tech startup has launched the nation’s first high-end, proprietary technology platform to vastly improve the traditional U.S. immigration experience. Comprised of a team of passionate executives and software engineers, PassRight’s mission is to become the first nationwide, innovative brand to connect people who have immigration needs with law firms that will provide trust, transparency, accessibility and customer-centricity to an archaic, fear-driven and fragmented industry. CEO, Liran Rosenfeld said, “We founded PassRight on the values of empathy, transparency, efficiency and affordability. PassRight’s primary goal was to partner with a law firm aligned with its values. That’s why we are initially working with McGettrick Law PLLC, a firm specializing in business immigration serving corporations, startups, and talented individuals. Our PassRight technology will allow McGettrick Law PLLC to more effectively reach and serve immigration clients.” PassRight is not a law firm, but a technology company that will empower lawyers and their clients to more effectively navigate the challenges of U.S. immigration law. PassRight understands the challenges of moving to a new country: the language barrier, the culture shock and the lack of a support structure. Denise McGettrick, owner of McGettrick Law PLLC and also Chief Legal Officer at PassRight said, “We want to counteract the fear-driven and fragmented immigration process that has been intensified by current immigration policies. In addition, immigrant applicants have to face expensive legal fees and ill advice from overloaded lawyers who are swamped with thousands of cases. But with PassRight’s technology, my firm can make real our commitment that you are not just another number.” Using technology and AI, PassRight aims to benefit both consumers and attorneys to make the immigration petition process easier, faster, safer and with substantially lower costs. Armed with its technological innovations, the PassRight process will outline the best route for applicants, predict their success rates, place in line and other steps that will facilitate a more effective immigration process. Many companies pass up on foreign talent because of the complicated visa application process. 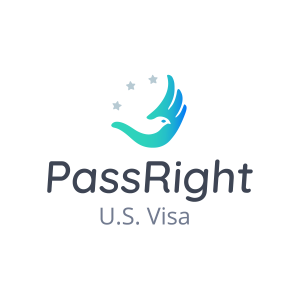 PassRight is determined to break down this barrier by using its tech platform to connect consumers with shrewd immigration legal strategies to provide companies with a new way to streamline the immigration process. The issue of immigration is personal to each of the founders of PassRight, who are intent on transforming the system. PassRight is a SaaS Company providing technology to Immigration Law Firms of the future, firms focusing on Family and Business Immigration. PassRight is the first nationwide immigration law-tech company. In its BETA, PassRight has favorably helped 700+ customers in obtaining visa approvals. For more information please visit PassRight at www.passright.com. TRC & Associates. Publicity. Marketing. Public Relations. Drawing from the vast body of wisdom literature found in Judaism’s ancient Oral Tradition, also known as the Talmud, the Litvaks offer time-tested solutions to modern problems. They emphasize the value of civil discourse in the current climate of overheated debate and trolling, especially on social media. A Hollywood film director and Chilean immigrant, Salvador became the “Accidental Talmudist” after a little miracle launched him into seven years of daily Talmud study. “In that oceanic repository of Jewish law and lore, I discovered a fountain of wisdom for living that is relevant to all people,” Litvak said. “The mission of the community is to celebrate the best of Los Angeles and allow its community members to connect with other members who share the highest standards of quality and integrity,” said community spokeswoman Aurora DeRose. "It’s an honor to receive this award from the Best of Los Angeles. It’s a great feeling to know that our hard work doesn’t go unnoticed," says Litvak.